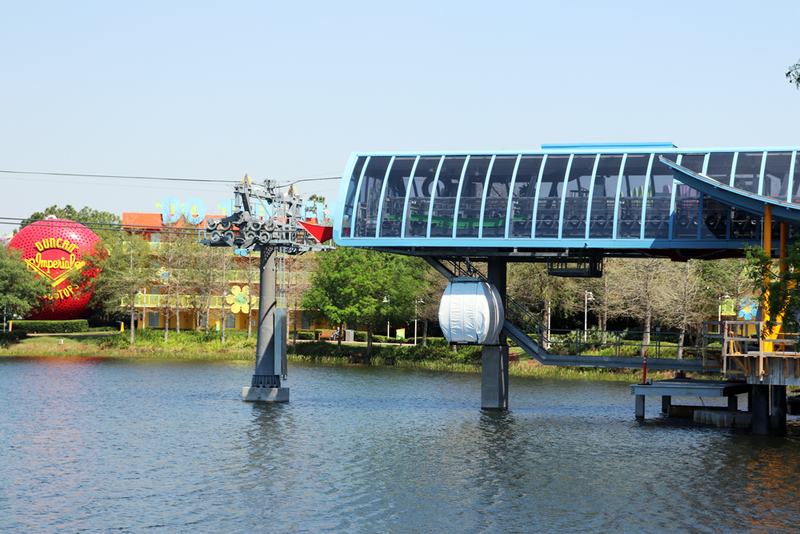 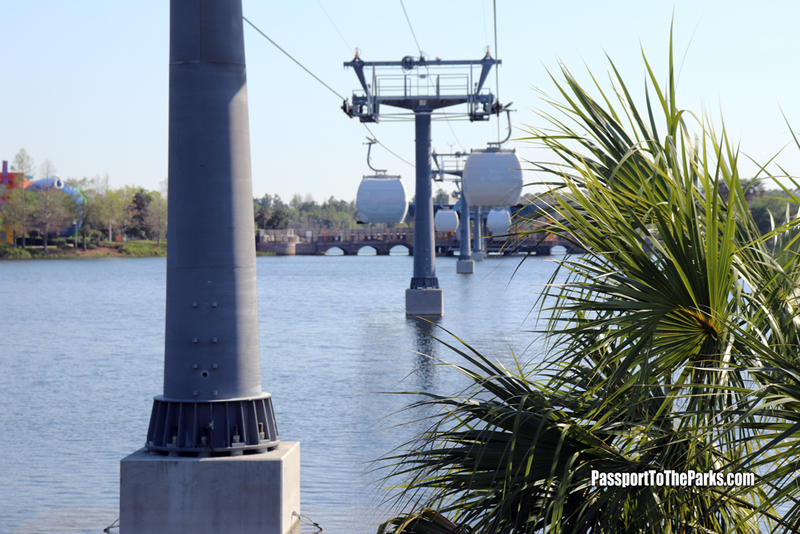 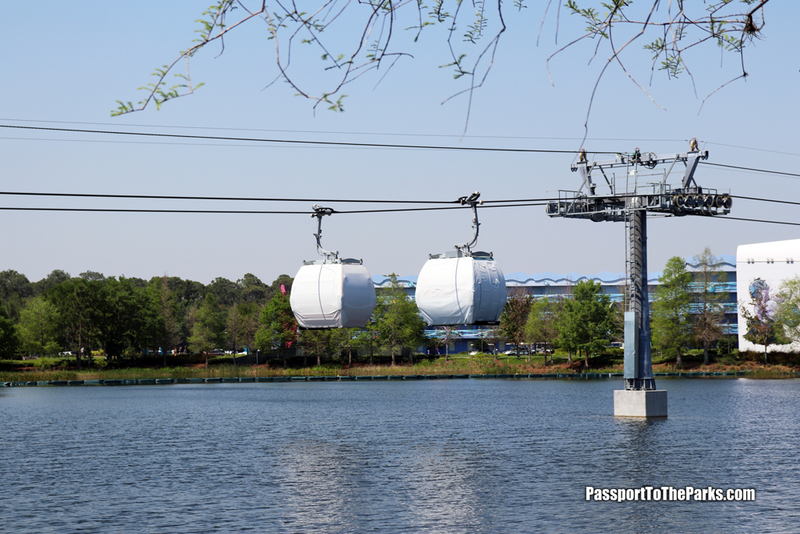 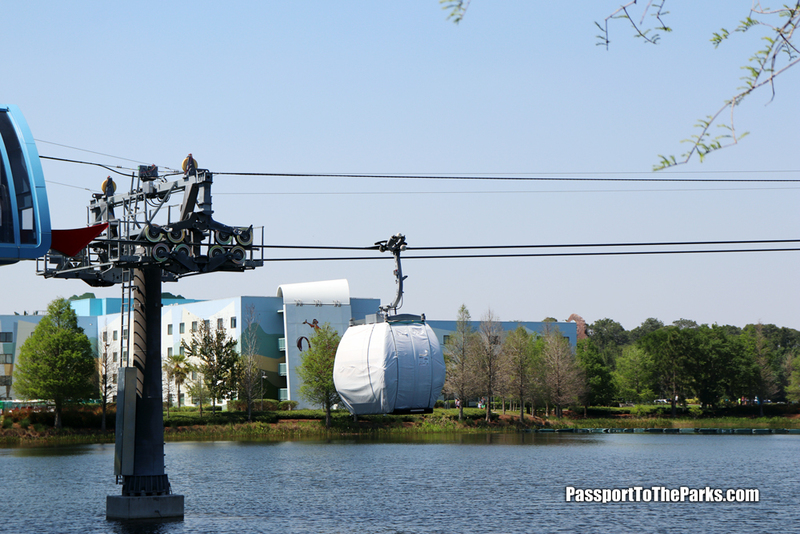 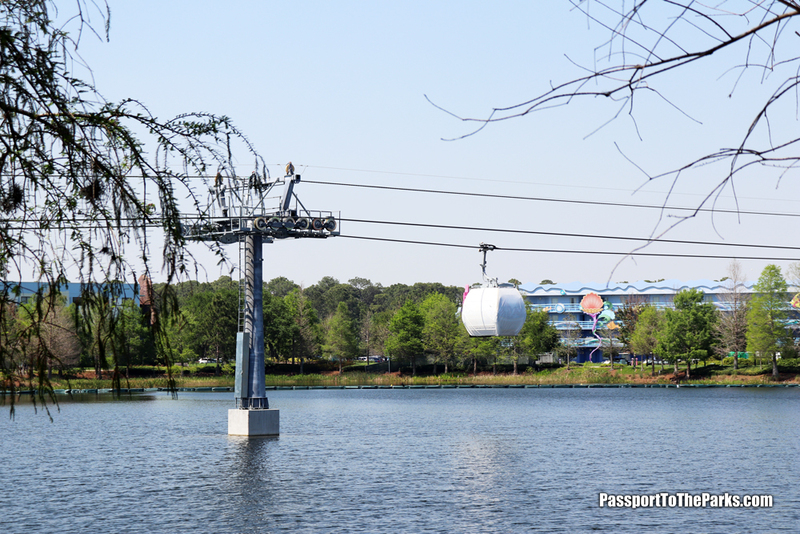 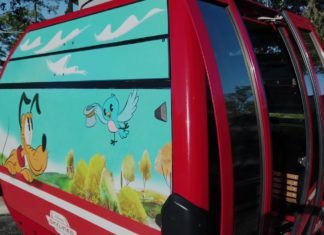 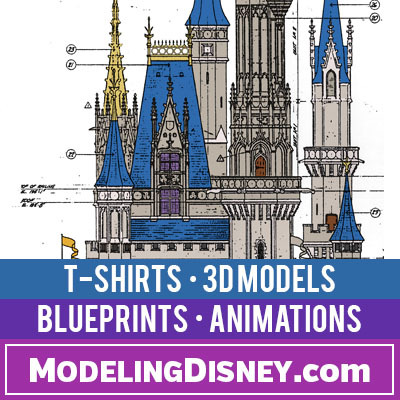 On Monday we had the pleasure of seeing the first three Disney Skyliner passenger gondolas on the line between Disney’s Caribbean Beach and the Art of Animation and Pop Century Resorts. 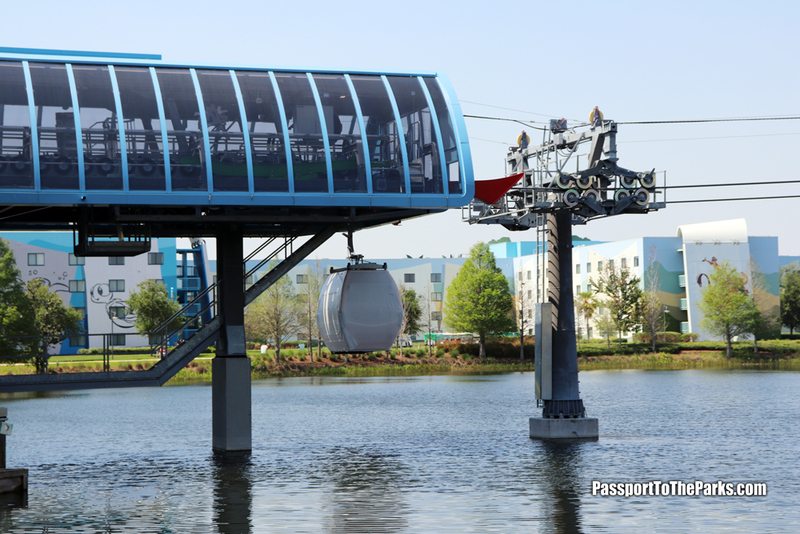 Unfortunately, that was a very rainy and gloomy day and we didn’t get the full experience of the gondolas glistening in the sunshine. 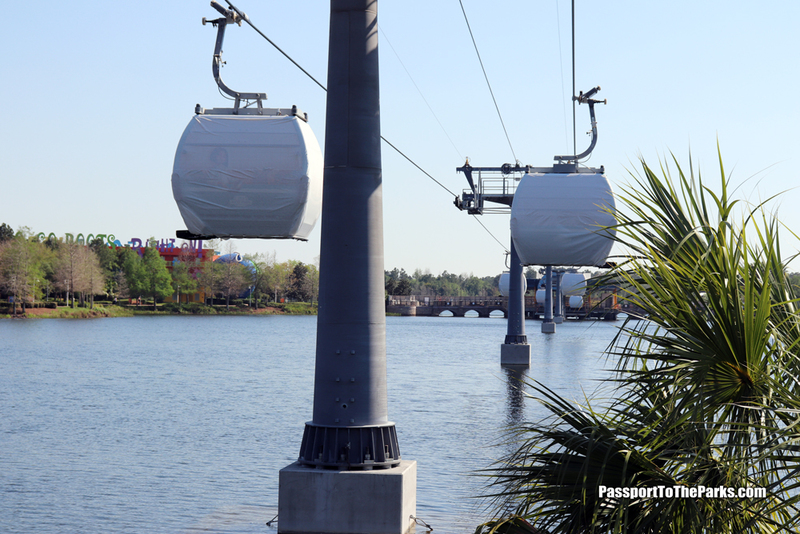 That all changed today as Disney rolled out a multitude of gondolas onto the haul rope. 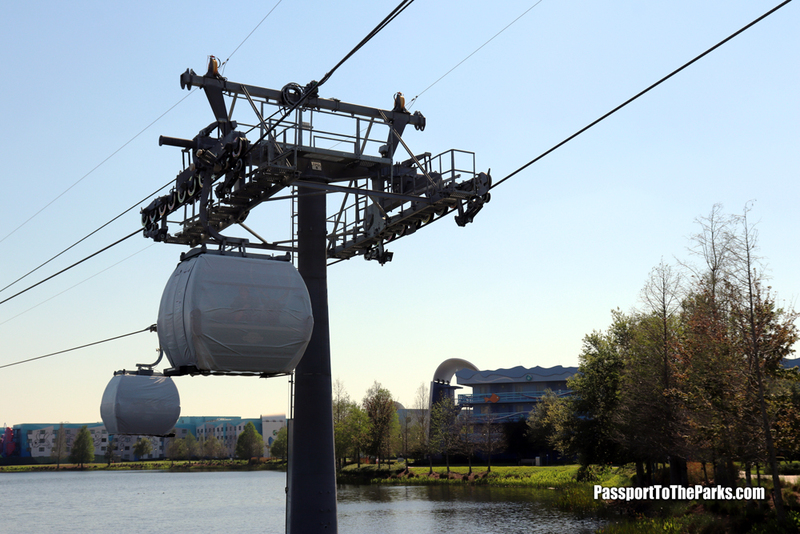 They are really ramping up the test phase, in order to achieve a possible early opening prior to Galaxy’s Edge. 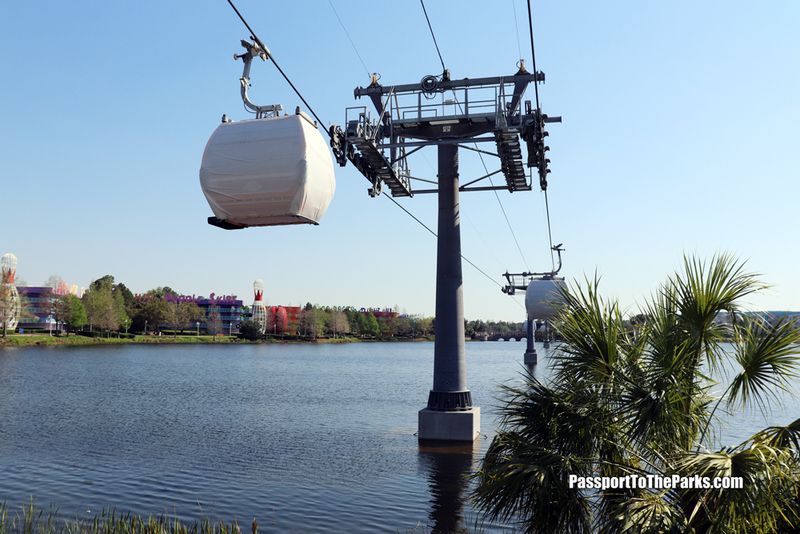 Finally seeing the gondolas soaring over Hourglass Lake, floating against the bright blue sky, was absolutely breathtaking. 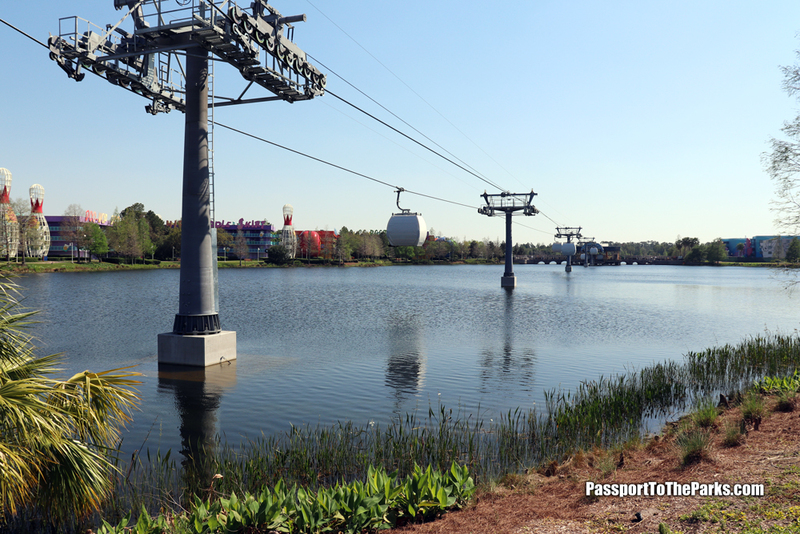 There are so many wonderful picture opportunities surrounding the lake, it was hard to find a spot that wasn’t perfect. 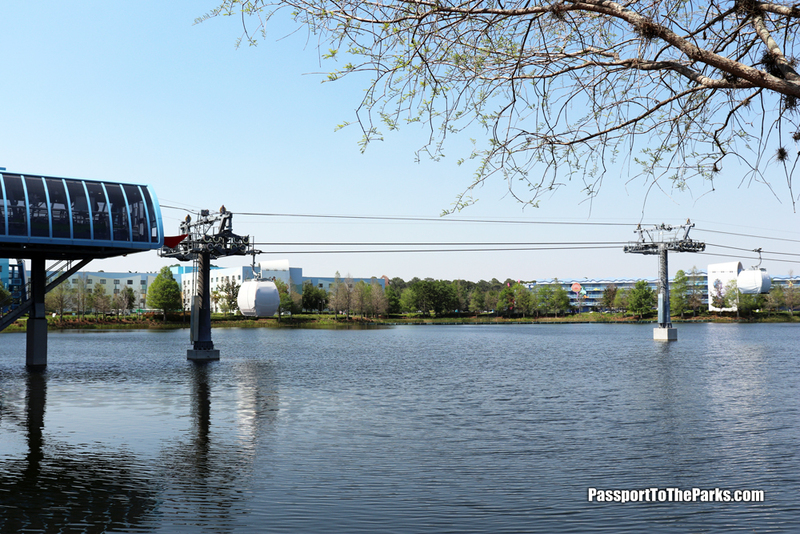 If the views are this amazing from the outside, imagine the views from the inside (which can’t come soon enough)! 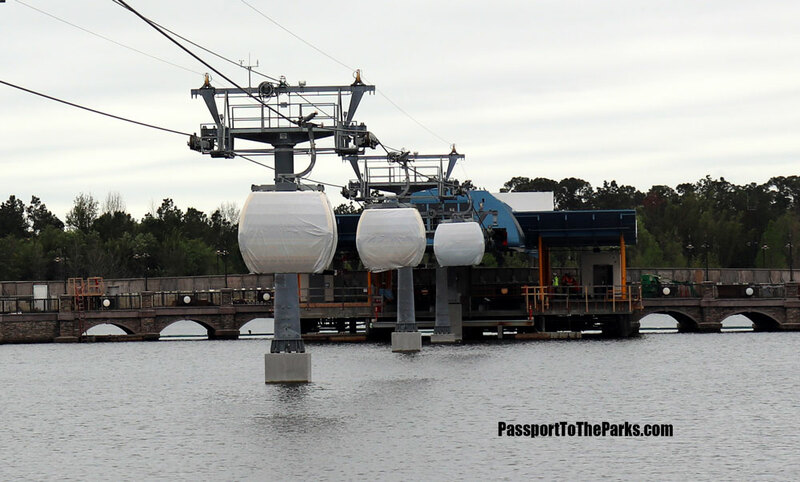 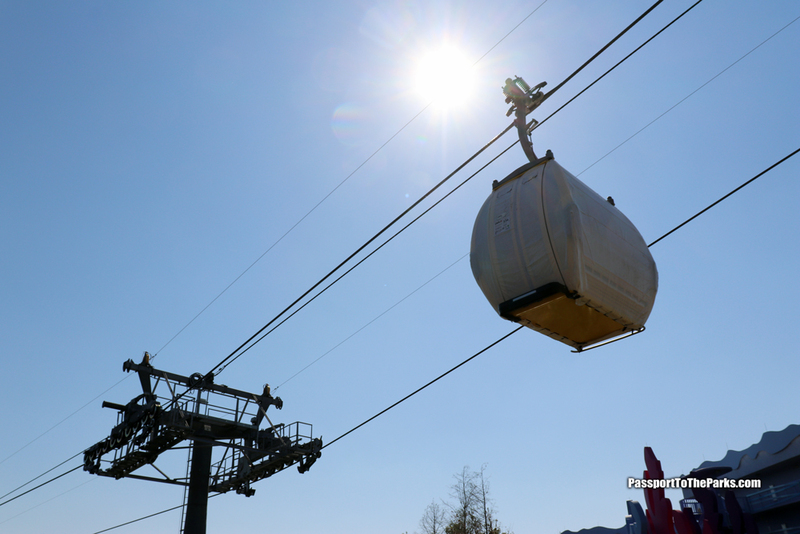 Testing will continue as Doppelmayr makes their final adjustments to the system. 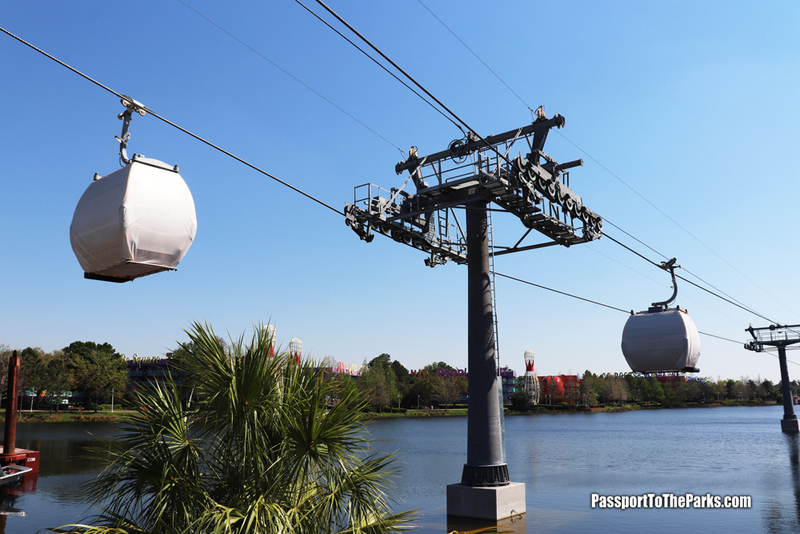 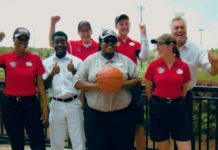 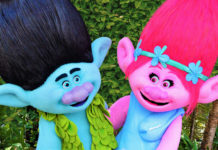 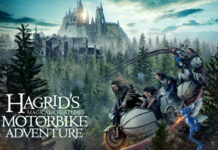 Disney Cast members should begin “test riding” on the system starting in April. 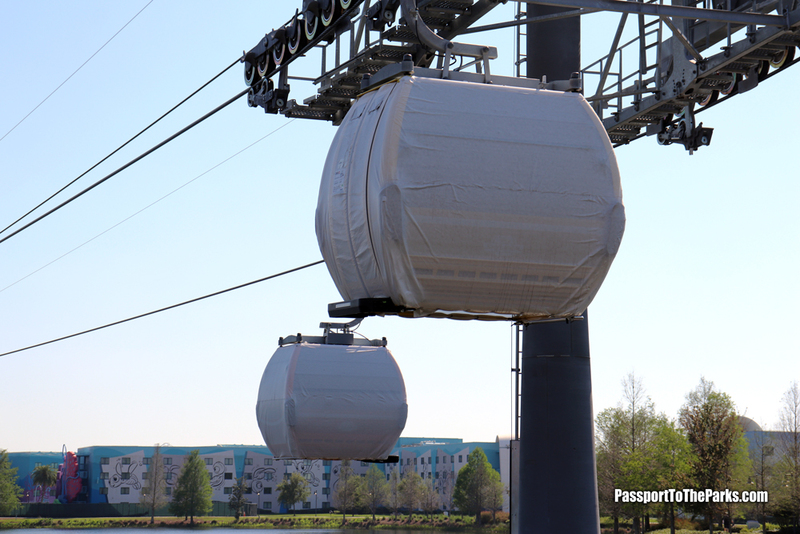 This is a very exciting time as we inch closer to the grand unveiling!